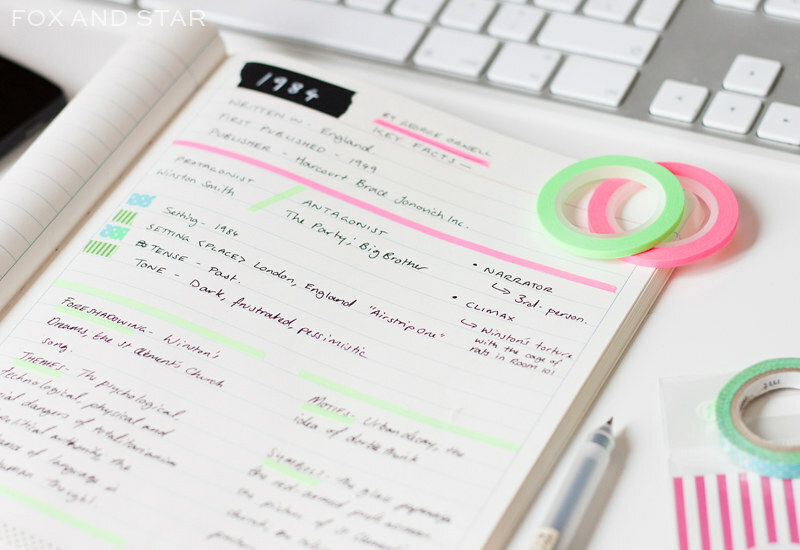 Aside from crafting, scrapbooking and generally giving everything you own a colourful makeover, washi tape is also pretty handy for brightening up your notes. 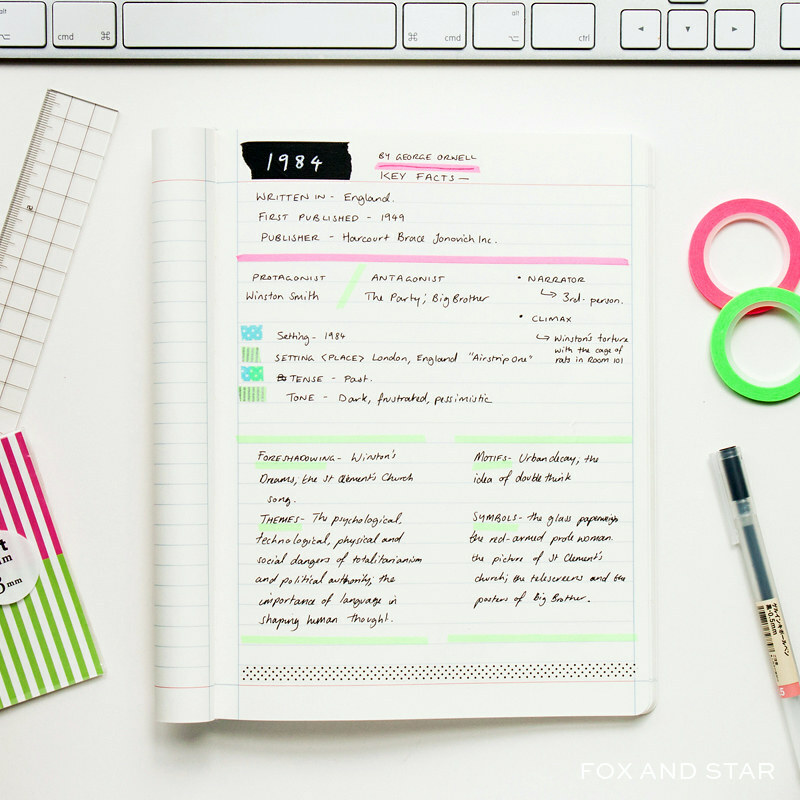 When it comes to studying and revision, staring at a full page of text can be rather daunting. That's why masking tape is perfect for breaking up blocks of text into colour coded sections. 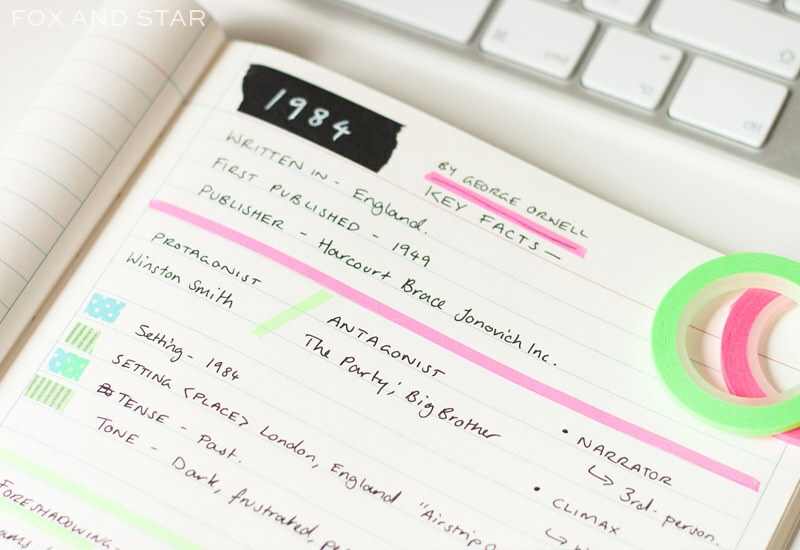 This way, you can highlight key points and make important info a little easier to pinpoint and digest. Of course, standard sized 15mm mt tapes are also brilliant for making page tags. Here though, I wanted to show off how cool the less common 3mm tapes are. About a year ago, mt masking tape expanded their line of thin washi tapes into a collection of five 3mm duos. As it’s the solid colour set, I’ve used the neons (set C). However, you could definitely use the patterned tapes for sectioning and borders too. At the top of the page I’ve used a Uni Posca white pen on mt matte black washi tape for the label. The white pen paired with the black tape is perfect for getting that bold chalkboard look. Excuse my messy writing and you’ll be able to spot that the mt slim 3mm neon tapes scattered throughout the page where they divide up sections and underline headings. As we are using washi tape, mt’s 6mm tapes make for a cute decorative touch to further break up the text and make the whole thing look a lot less boring. Hooray for washi tape! Washi tapes used in this post are all from mt masking tape.